India defeated New Zealand at the Eden Park in Auckland in the 2nd T20 by 7 wickets and levelled the series by 1-1. It was an outstanding team performance as first Indian bowlers restricted the Kane Willaimson and men for a low total of 158 runs and then Rohit Sharma (50), Shikhar Dhawan (30), Rishabh Pant (40*) and MS Dhoni (20*) helped India to outclass the hosts. 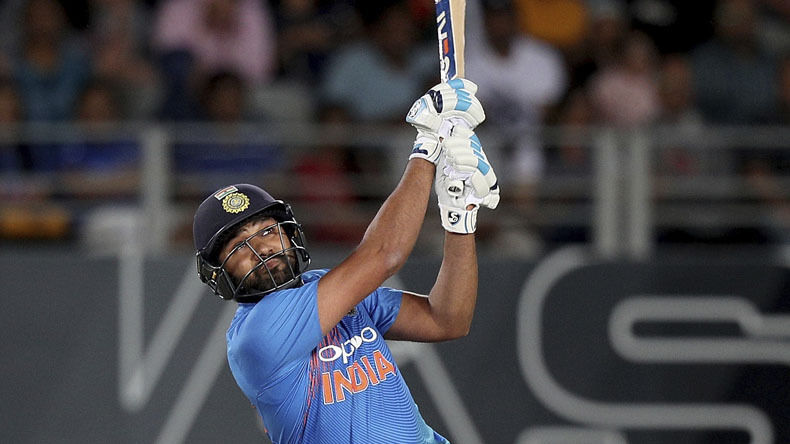 In the 2nd encounter of the 3-match T20i series between India vs New Zealand at the Eden Park in Auckland, Rohit Sharma and men crushed the Kiwis by 7 wickets and levelled the series by 1-1. Team India, who was outclassed by the BlackCaps in the 1st T20i by a huge margin of 80 runs, today avenged the last match defeat and revoked the chances of winning the short over format series. India vs New Zealand, 2nd T20i was an extravaganza as Indian bowlers restricted the hosts for a low total of 158 runs and scalped their 8 wickets in the respected 20 overs. After winning the toss today Kiwis skipper Kane Williamson opted to bat first, but unlike the last battle, New Zealand faced early blows as Tim Seifert (wk), who had scripted a win for the BlackCaps in the last match, went to dugouts early after scoring only 12 runs. His counterpart Colin Munro also showed the back for 12 runs. New Zealand skipper Kane Williamson and no. 4 batsman Daryl Mitchell also failed to entertain the crowd as they were removed for 20 and 1 run respectively. But then experienced Ross Taylor (42) and Colin de Grandhomme (50) hold the fort and took helped their side to set a respectable total of 158 runs. Indian bowler Krunal Pandya took 3, K Khaleel Ahmed scalped 2, while Bhuvenshwar Kumar and Hardik Pandya picked up 1 wicket each. Chasing the low total of 158 runs, Indian batsmen Rohit Sharma (50), Shikhar Dhawan (30), Rishabh Pant (40*) and MS Dhoni (20*) helped India to chase the target comfortably.